Is hardwood flooring environmentally friendly? There's no denying that hardwood floors are a beautiful flooring choice for any home but are they environmentally friendly? More and more homeowners are looking for sustainable options for their home and floors are no exception. Does hardwood fit the bill? It depends on where and how it is sourced. The good news is there are many environmentally friendly hardwood floor choices on the market and we carry many of them here at Kermans Flooring in Indianapolis. Sustainable wood by its definition is wood that comes from a forest that is responsibly managed. How do you know? Look for the seal of approval from the US Forest Stewardship Council (FSC) or the National Wood Flooring Association Responsible Procurement Program “From U.S. Renewing Forests”. These groups set the standards for responsible forest management. Hardwood flooring that is harvested from certified tree plantations - grown specifically to responsibly supply lumber so that natural forests can thrive - is produced and shipped locally. All of which are carried at Kermans Flooring. 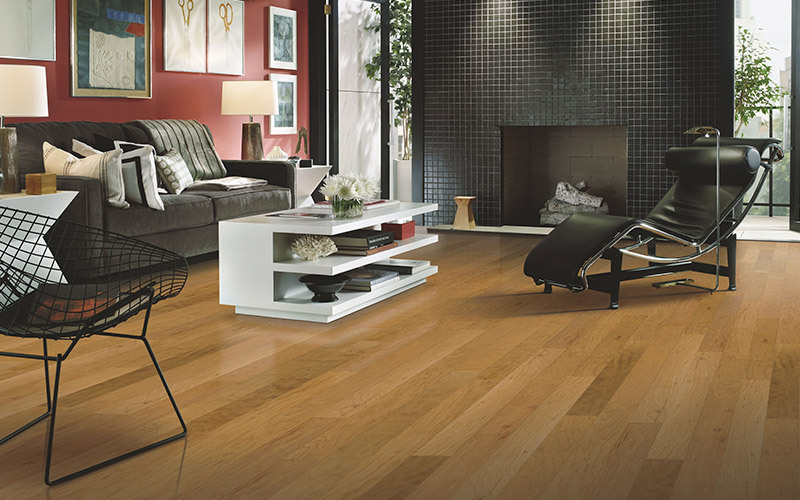 Engineered wood and laminate wood flooring can give you a wood floor that is more sustainable than hardwood. The manufacturing process for these types of wood floors maximizes board yield so that it uses more of the tree and has less waste. Some choices in this category even include recycled materials further contributing to their sustainability. When you're looking for sustainable wood flooring, turn to Kermans. We are proud to offer products that are good for your home and good for our environment.